Create mind-blowing effects with these essential plugins for Cinema 4D. Maxon’s Cinema 4D has a vibrant and well-supported plugin ecosystem, providing all manner of extensions for the app – from filling holes in its toolset to streamlining the workflow. And because of the way that Cinema 4D is structured, not only are these plugins nicely integrated into the app (often seamlessly at times), they all play well together. So you can find Cinema 4D tutorials that mix third-party Modifiers and Effectors with native tools, use Turbulence FD to convect X-particles and then visualise them with the Hair shader, shatter meshes with Nitroblast and then animate them with Signal... the combinations are endlessly creative. In this feature we’ve rounded up a few of our favourite plugins (although not all of them by any measure!). There’s something for everyone here. This amazing particle and VFX system has a host of useful features. 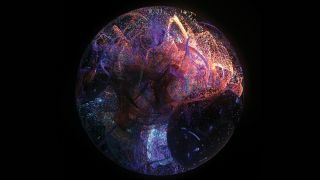 You can create stimulations for cloth, smoke, fire and fluids, for example, and it integrates seamlessly into Cinema 4D. If you can use C4D, you can use X-Particles. TurbulenceFD is a voxel-based fluid dynamics simulation system for making fire and smoke. TFD is used in movies, TV shows and video game promos, and you only need to use the plugin and see the end results to agree it’s pretty special. The latest update to Light Kit Pro provides a complete and fully customisable lighting solution – providing a variety of realistic lights, panels and softboxes with which to really hone your lighting. It's easy to use, includes 120 studio presents and has built-in support for renderers Octane, Arnold and Redshift. Lazaros, aka ‘NitroMan’, has created many useful plugins, but Nitroblast is probably his best. This great little tool automatically shatters objects and enables you to blow them to pieces using C4D’s dynamics. Scroll Roll Deformer was designed to help create rolling paper and carpet-like effects, says Daniel Fitzgerald, developer at Curious Animal, but he found it was also a fun way to create sprouting animations. Scroll Roll also turned out to be perfect for growing sprouting objects and growing feathers. By scaling these objects up from nothing as they unroll he was able to transition them on smoothly, but in a much more interesting way than a simple scale. The second entry from Curious Animal, aka developer Daniel Fitzgerald, is Motion Stretch Deformer. When applied to a mesh, Motion Stretch Deformer – as you might guess – stretches the geometry according to its movement, creating things like motion trails. Signal is a GSG plugin that’s aimed at automating the animation process. It’s applied as a tag to an object or deformer and you simply drag any animatable value into it (including colours). It’s then a matter of setting some values and letting Signal do its thing, generating random, noise- based animations and seamless loops. As its name suggests, SplinePatch 3.0 brings spline patching to C4D, which enables you to create smooth, curved surfaces from intersecting splines. This is ideal for creating complex forms that remain editable and animatable, such as cars, clothing, characters, packaging or other convoluted shapes. Forester is a procedural vegetation creation plugin that makes an endless variety of grass, trees and plants, and that also comes with a rock generator and a scattering function, called the Multicloner. Its latest update also integrates with C4D's Variation shader, so you can colour your leaves randomly. GSG’s Transform is a neat plugin for generating animation without the need for keyframes. It provides a set of over 65 presets for various animation sequences, which can then be tweaked to suit. It works well on text, clone arrays or fractured objects made using Nitroblast. This tool by César Vonc unwraps an object as strips of connected polygons, like peeling a banana. It’s a very cool effect with plenty of options to alter the way it unfolds and disappears. However, Vonc explains that you can’t easily cache the effect as Unfolder changes the point and polygon count by default, and the PLA cache needs them to be the same. Here we’ve used the Difference Map with Curious Animal’s Impact deformer to generate a layer mask in the colour channel. top of your deformation by creating a vertex map describing the effect of the deformer on each point in your model. So, if using Impact deformer to create ripples, you could use the Difference Map tab to create a vertex map that you reference in a material to give those ripples a different colour to the rest of the object. This article was originally published in 3D World magazine, and has since been updated. Subscribe to 3D World here.